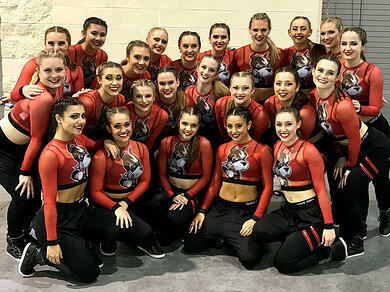 Boston University Dance Team's Gladiator Theme Team Performance at NDA Nationals! 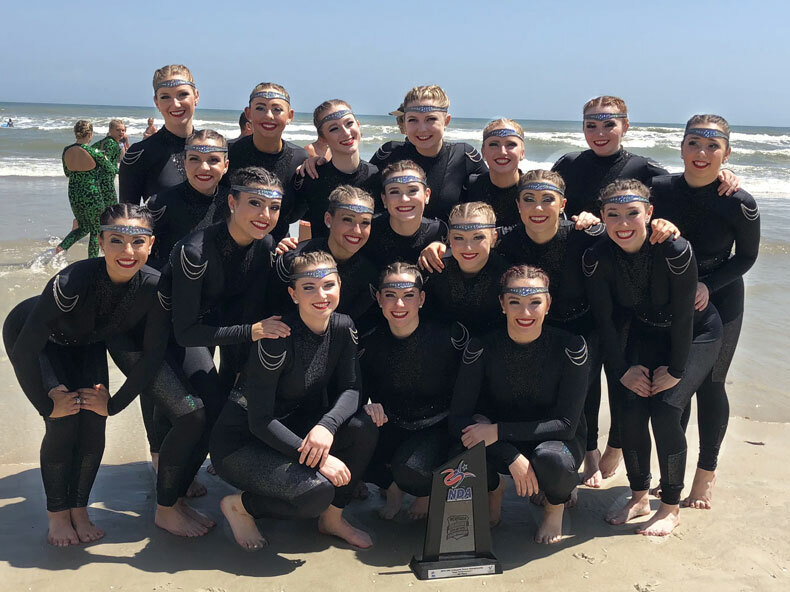 Boston University dance team channeled their inner gladiator and battled it out on the NDA Nationals dance floor last spring. They were inspired by the ancient Roman warriors for their 3rd place Division 1 Team Performance routine. We got a chance to speak to the Co-Captain, Lauren Crowley, about the inspiration for their look. The team wanted to capture a military design with their uniforms. "The side panels on the legs and chain embellishments on the shoulders gave us more of a military look, and the choice to go all black amplified the intensity of the routine" explained Crowley. "The choreography really exuded strength and control, so it represented our theme very well." These details provided a fierceness and allowed the team to stand out. "Since the theme of the dance was a bit darker than what we’ve done in the past, we wanted our costumes to reflect that,” said Crowley. Check out a video of their performance, below! For their hip hop routine the team went with a classic collegiate look! They modified the Gleason Mesh Sublimated top by adding their fierce bulldog logo. They paired the top with Harem pants to round out the look. 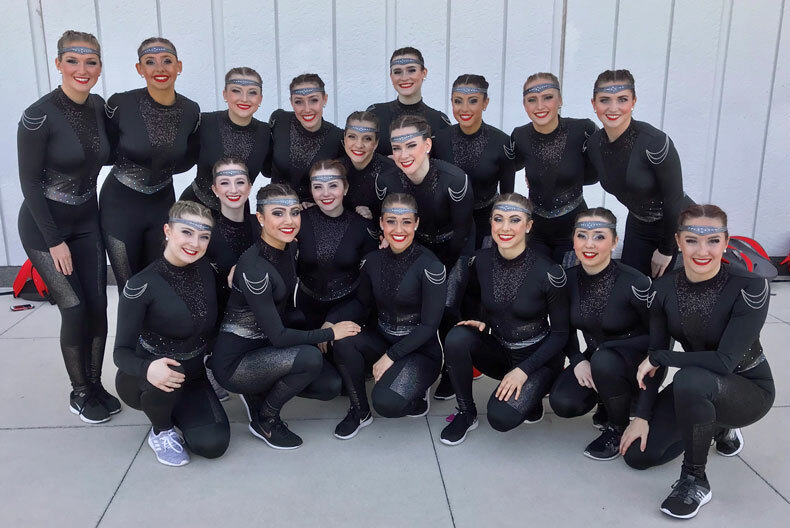 Check out a video of their performance, below, which earned them a 3rd place finish in Division 1 Hip Hop! Check out the NDA 2018 Champions or Boston University Dance Team's website for more information! Our team performance music was "Millennia" by Hi-Finesse. When we heard it for the first time, we all got chills! It's a powerful piece. Our team is unique because we work hard in practice to perfect our routines but we also work hard in academics. The girls can successfully manage heavy workloads with school, internships, jobs, and other clubs on top of dance. Also, the friendships we've built on this team are unlike any other, and we know they'll last forever. 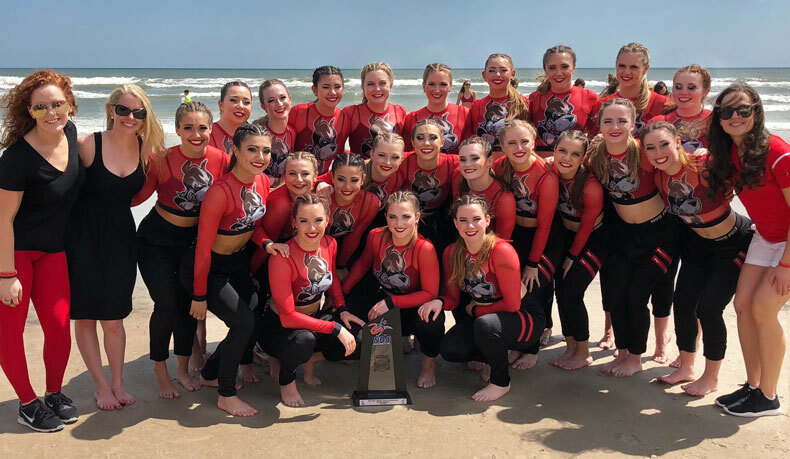 Our favorite memory from this past year is the collective feeling coming off of the bandshell after performing Team Performance Finals. It was probably one of the best times we've performed the routine, and we got to do it for one last time on the bandshell. Many of the girls came off the stage saying that is why we do what we do - to get a once-in-a-lifetime chance to perform like that. Our team's biggest challenge was dancing with confidence throughout the season. It's easy to become hypercritical, and we need to remind ourselves that we are fully capable of achieving our team goals every year.